PreWrap is used as an Underwrap for Athletic Taping, Compression Wrapping, and has many other dynamic uses. Manufactured by Performance Health, formerly known as Sammon Preston, this Athletic PreWrap Tape is a thin foam fabric that is strong and highly porous to allow skin to breathe. The PreWrap reduces skin irritation and tape chafing and is applied under athletic tape when athletes need repeated taping prior to activity to give ankles, knees, elbows or other joints supported to prevent re-injury. The PreWrap's thin profile won't add bulk with additional tape on top. 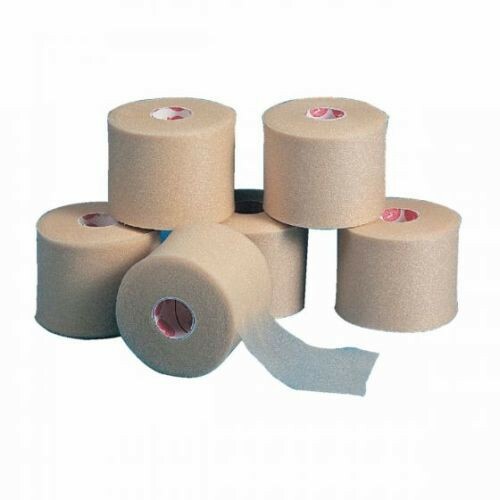 Pre-Wrap is a versatile product and offers a fast and easy application of a cold pack to allow for hands-free use. PreWrap is also helpful in securing primary bandages such as composite dressings. WARNING: This product may contain chemicals that are known to the State of California to cause cancer, birth defects or other reproductive harm. This product complies with all state and federal safety standards.